Let us be your Partner in Planning! Guest blogger, Sargy Letuchy, shares a powerful strategy to help students organize their writing. During my first year of teaching in 2002, I walked into my government class on the first day of school to a group of comedic, socially confident seniors. A flashback from the 80’s movie “Summer School” with Mark Harmon ensued. Most of the students acknowledged my entrance by reluctantly quieting down and taking their seats, but one boy, Jack, remained standing, even as I started to introduce myself. I asked him to take his seat, “Where should I take it?” he asked, with a mischievous grin. The class roared with laughter and I knew it would be along semester. Over the first few weeks, Jack turned in below grade level work while tirelessly promoting himself socially. The assignments he cared to turn in demonstrated his clear lack of interest in the class subject matter as well as a real gap in his writing ability. For a clever wordsmith, Jack had a really hard time expressing his ideas in written form. I wanted to get him interested in my class and to support him in applying the strength of his verbal voice to his writing. Through my efforts with Jack, I realized that while giving studentsopportunities to pursue their interests can improve engagement, it’s not always enough. Without a structural element as a backbone, students won’t always keep up with grade level skills andstandards. In the case of writing, students can love their topic but have no idea how to structure a thoughtful essay around it. This realization has guided my work over the past 16 years, and in my most recent role as a high school ESL teacher, I continue to balance the need for building flexibility in voice and choice with developing structural supports to help my students meet the reading and writing standards for their age level. In some ways, my current approach still owes a lot to that challenging semester with Jack. When I was working with Jack, all of my coursework and raw instincts at the time told me that I must get to know him and creatively base assignments on what I learned about his learning style and interests. Through class discussions, individual conversations with him and close dissection of the work he submitted, I gained insight into his personal background, academic strengths andareas for growth. Jack reminded me of Matthew Broderick’s character from “Ferris Bueller’sDay Off”—he had always gotten by on popularity and was barely an average student, yet he possessed above average intelligence and worldliness. One day, after sulking in the hallway, Jack shared with me that his parents were trying to enforce what he thought was an early weekend curfew, which was getting in the way of his burgeoning social life. With the unit essay on the Declaration of Independence coming up, I seized an opportunity to make this assignment more personal for Jack. The assignment was to closely read the document, identify one purpose or theme and explore it through writing a personal, persuasive essay rooted in text evidence. I suggested that Jack write a persuasive essay to his parents explaining why he wanted to be more independent, so that he could fuel his writing with the passion he had for his personal issue. He got into it, and what he turned in was very emotional and compelling. The problem was that it was a completely unstructured, unfocused rant. It was clear that Jack lacked the persuasive writing literacy skills to make his essay a coherent argument and that I had to do something to bridge this gap. Furthermore, as I began reviewingother students’ essays, I realized many of them were having the same issue—disorganized, unclear writing. I tried giving my students a rubric to encourage an improvement, but that didn’t help. Being inexperienced, I was not immediately sure why the rubric wasn’t working and what to do toremedy the problem. After reflecting on this for some time, I finally got to the heart of the issue: the rubric told them where I wanted them to be, but not how to get there. I made someassumptions about the skills my students had and as a result, I hadn’t equipped them to besuccessful with the level of planning and organizing this assignment required. Although my students were engaged because they found topics that mattered to them, the essays I received from a mostly college-bound, senior class were unacceptable. 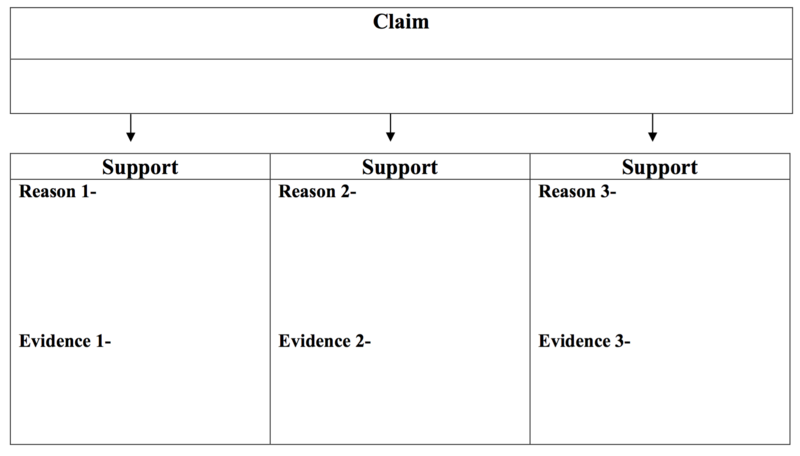 I wanted to develop a tool to help my students logically connect their personally chosen themes and purposes to text evidence from the Declaration of Independence, and wanted to modify it for Jack to help him plan and express his argument to his parents through a basic structure of claim, reasons and evidence. 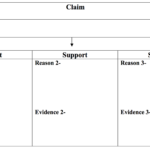 Using this graphic organizer, Jack could connect the dots on his thoughts before writing his essay. He was able to focus his essay on the claim he wanted to make to his parents about his curfew, come up with logical reasons for that claim and drive home his points with related evidence. 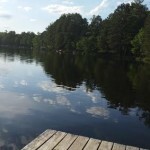 When I looked at Jack’s first and second essays next to each other, there were stark differences.In addition to the meatier body, which was now fleshed out with stronger reasons and substantial evidence, the essay had a much more coherent flow. Having his reasons and evidence already in the organizer when he started drafting helped him leverage the skills he already had like building in transitional sentences and painting a picture through descriptive details. Not to mention, his essay had expanded by about 300 words. It wasn’t just Jack, I saw improvements in my other students’ essays too. Most of the essays in the first round included reasons that didn’t support the claim or lacked evidence. Most essays in the second round had a stronger connection between claim, reasons and evidence because students were pausing to consider these links before drafting. My experience with Jack and his peers taught me that it is critical to build effective standards- aligned tools to scaffold instruction and guide students toward a particular outcome. The strategy that has worked best for me is to develop flexible graphic organizers that I can modify for each student depending on the central skill or standard they’re working on. As my role has changed to working with English language learners and state-mandated literacy standards have become more prevalent, I have continued to use this strategy, developing a graphic organizer for each skill I teach and encouraging my students to modify it as they wish to make it work better for them. I’m grateful for my experience with Jack and the senior government class because it helped mefigure out early in my career that simultaneously increasing voice and choice and using standards-based graphic organizers can be powerful for learners. The former gets students engaged, and the latter develops and strengthens literacy skills. Over the years, I’ve taught a number of students that share some of Jack’s characteristics, andcountless others with a diverse range of needs and strengths. I’ve learned that designinginstruction that meets the idiosyncrasies of learners and building flexibility in voice and choice is important, but alone, those strategies are insufficient. Sargy Letuchy is a Bilingual-ESL teacher near Chicago, Illinois. Over the past 16 years, Letuchy has taught ESL, Social Science and has coached tennis in suburban Chicago. 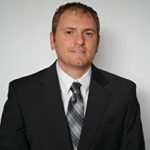 He has experience presenting, consulting and writing about standards-based curriculum design and is the author ofThe Visual Edge: Graphic Organizers for Standards Based Learning. The book is available onAmazon, Barnes n Noble, or at a 20% discount through Teacher Planning Partner (click on Our Products and Features). Also, connect with Sargy on Linkedin. How to save time and stress when planning standards-based lessons so you can enjoy teaching again! Parents and Conferences and Time, Oh My! Parents and teachers conference week can be a brutal challenge with the long days of teaching and the long nights talking to parents. Sometimes I wish I could click Dorothy’s ruby heels to click myself home. I recently survived this physically and emotionally draining week, and miraculously hung onto my health and sanity. This, in large part, was due to the caring, supportive parents who came to find out how their children were doing. All in all, it was a series of remarkably low stress evenings. In my school, students lead their own conference. Students prepare for their conference by creating a slideshow that includes the students’ grades, test scores, accomplishments, goals, and learning adventures. The students begin the event by formally introducing their parents to their teachers; this gives the students an opportunity to polish their presentation skills. Next, students usher their parents to an available laptop and demonstrate their progress. We teachers drop in on these shows to emphasize the students’ accomplishments, make suggestions for learning growth, and answer parent questions. This puts the responsibility on the students’ shoulders and relieves the teacher from having to repeat the same things all night long. Teachers, students, and parents are partners in learning, not adversaries. When parents become angry, embarrassed, or upset because their child is less than successful, we teachers are not there to gang up on our students. We are their partners in learning. I tell my students to be prepared prior to a parent conference. If they know they are doing poorly, they should admit it, but explain they have a plan for improvement. Students can share their goals such as seeking help before or after school, practicing their math facts, or spending extra time reading each day. When the students have their action plan ready, most parents will be proud their child is taking responsibility for their actions. I let my students know that I am their champion. I want them to know that I am not there for an “I got you moment,” but that I am there to support and coach them toward success. 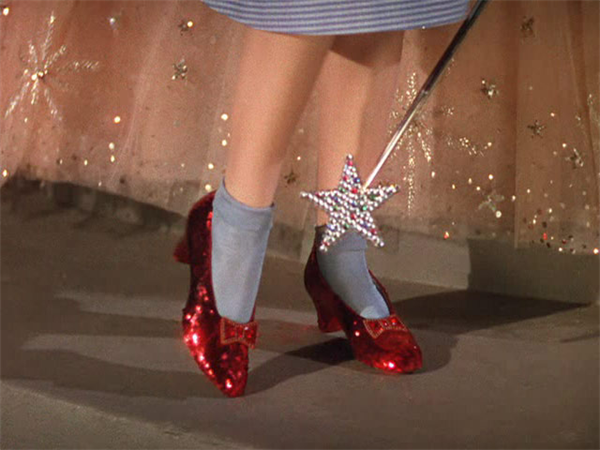 What teacher would not prefer to be Glinda over the Wicked Witch of the West? 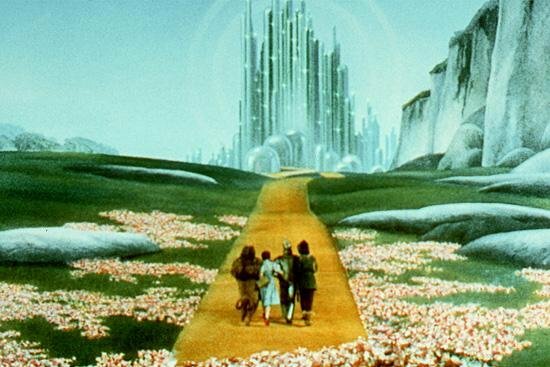 We are not there to sugar coat the problems but to guide students to take responsibility for their learning so we can send them forth on the yellow brick road of success. Student Centered Learning – Who Knew? Student centered learning is all the rage, and for good reason. Student centered learning is not new, but the shift from teacher focused action to student focused action is becoming the norm. This shift in education reminds me of when my mother finally let me grow my hair long. She wanted me to wear a pixie haircut because she believed it was best for me (not to mention easier for her). With hair freedom came some hair-raising hairdos. Sometimes I didn’t get all the shampoo out when I washed it which left me with an odd greasy-like sheen. Dealing with snarls and bad hair days added an extra challenge each morning. My mom made a few suggestions, but allowed me to struggle with my decisions. While I still have my fair share of bad hair days, I’m glad my mother let me make my own decisions, or I’d probably be sporting a short curly perm for the rest of my life. As our students take more responsibility for their learning, they will experience some snarly, greasy problems. We will coach them and make suggestions, but we will need to let our students struggle and comb out the problems. 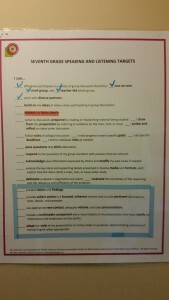 One easy way for students to choose how they will demonstrate their learning is to display a checklist poster. Use highlighter tape to box-off the skills you want students to master. Students can access the skills they will need to demonstrate without searching their lockers or the dark recesses of their backpacks for handouts. The skills will always be visible and not reliant on digital availability. 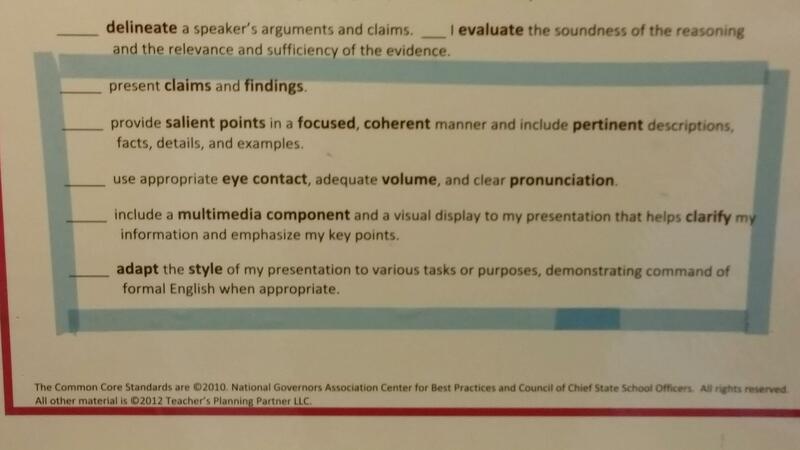 When my students demonstrated their presentation skills, I selected the Speaking and Listening poster and highlighted the “I can” statements they needed to master. Students reviewed the skills and considered various options for presentations. Many students took pictures with their phones so they could review the skills at home. They chose one of their argumentative writing pieces to present. (Anti-bullying and animal abuse were popular topics.) Many students wanted to work in small groups, and a few students wanted to work alone. Several groups created public service announcements, many students wanted to try giving a TED style talk, and some students wanted to create a live commercial for their community. Presentations were varied, but they all had one thing in common – they created an opportunity for students to show their stuff. It was fun to watch their self reliance grow as they solved problems and stayed engaged in learning. Student centered learning is a great way to allow for differentiation. 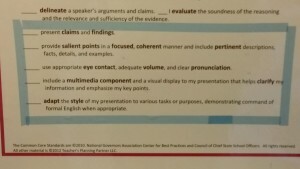 When I dictated the format for presentations, I endured some mind-numbing performances which I now admit was my fault. It was like walking through a sea of curly perms. Because I use a student centered approach,I’m treated to buzz cuts, shags, cornrows, and even Mohawks. What the Anti-Education Legislation Do They Think They’re Doing? Have they lost their minds? Anti-education legislators in Wisconsin got together at 1:30 in the morning and decided it would be a good idea to “relax” the certification requirements for teachers. If you want to teach music, no high school degree is needed. (Provision slipped into budget dilutes teacher license rules or What the heck is going on with Wisconsin public education? ) As long as administrators “feel” you have relevant experience, you’re in. Now they aren’t getting crazy or anything; you do need a bachelor’s degree in “something” if you want to teach English or math, but pedagogy…meh. Educators trying to covey the importance of education without an education…how’s that supposed to work? Clearly these “representatives” (sorry for the excessive use of sarcasm quotes) feel contempt for our training in education. 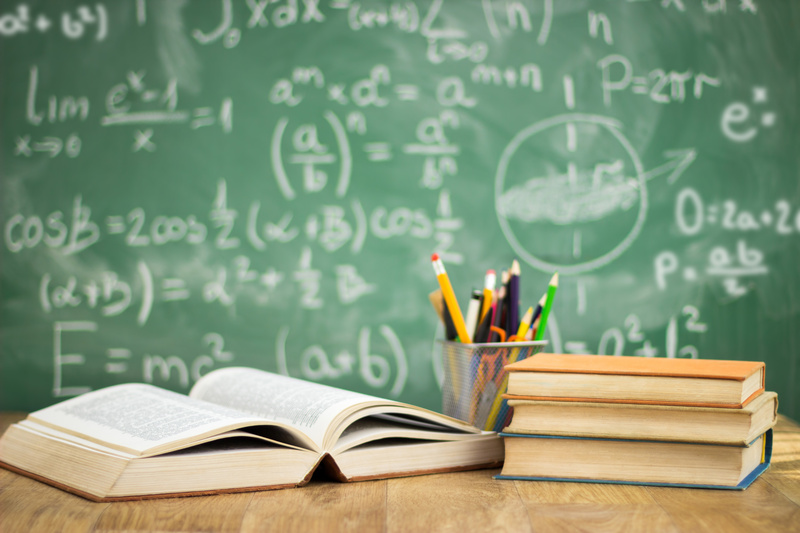 Which leads me to the question: Does our education coursework make us better teachers? One of my dearest friends, who taught Spanish for years, believed her students were not successfully learning Spanish. She speaks Spanish fluently and had even studied in Spain, so this was not a lack of content knowledge. She took additional coursework on teaching foreign languages. She credits this coursework with revolutionizing her teaching and saving her career. This class, combined with experience and years of education training, have helped her to become a wonderful teacher. Education students often joked that many college classes were just hoops they needed to jump through to become teachers. Yes, I resented writing the meticulous lesson plans that Dr. Olson required. Yet, I have to thank Dr. Olson because I’ve internalized those parts of a lesson plan and still use what I learned from him as I teach today. Did your pedagogy classes help shape your teaching? What helps you be a successful teacher? Or… maybe the anti-education league is right. You’ve taken a girls’- night -out art class; maybe that’s all you need to teach art. Michael has been a science and math teacher for over nine years at both private and public schools and has taught adult education for over 25 years. Free shipping and volume discounts.